0.38" Long 3/16"-127 Fine Adjustment Screws. 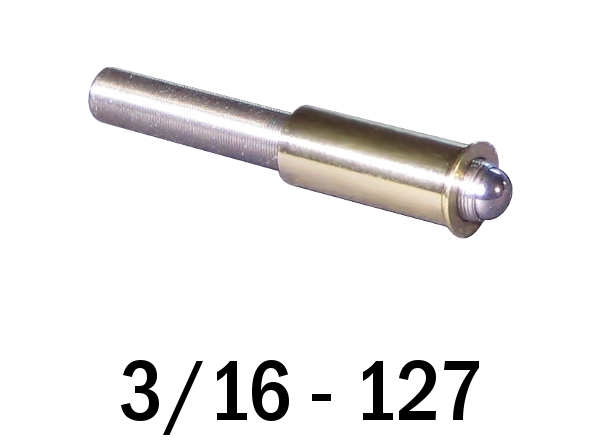 Base Lab Tools offers the finest 127 TPI (200ï¾µm/rev) screws available. Shipped from stock and made in the USA. Screws and bushings are sold as matched pairs. 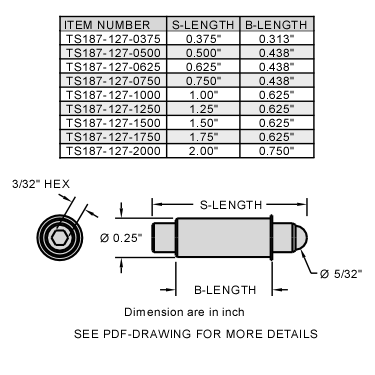 These 0.38 inch long 3/16-127 match screw and bushing pairs are ideal for more sensitive applications where standard 80 TPI and 100 TPI threads are not sufficient. With a pitch of 200 ï¾µm/revolution, micron and better resolution is attainable. These screws are sold pre-paired to a bushing at the factory to assure the tightest fit possible and prevent debris from being caught in the threads. For higher adjustment resolution consider our 200 and 254 TPI versions.